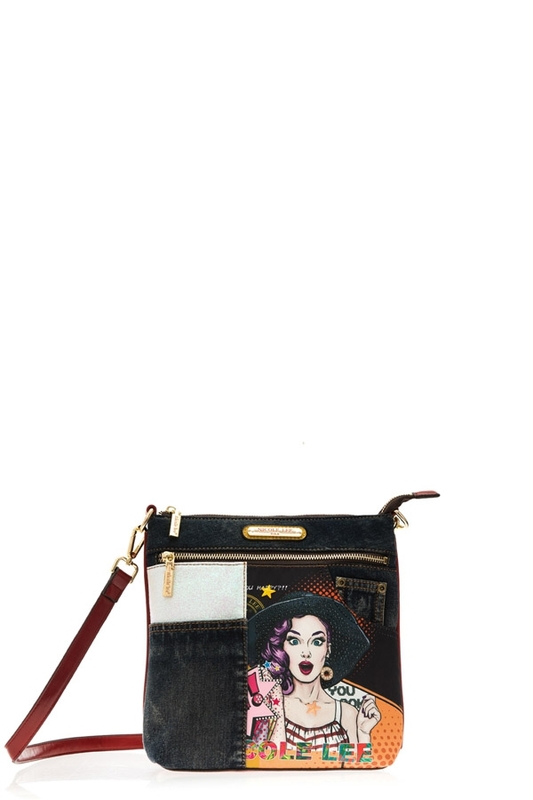 Add stylish character to your daily look with the Nicole Lee "Wow It`s Lucy" Denim Handbag. Exterior Features: Exclusive "Wow Its Lucy" Print. Made of denim. Zip front pocket. Detachable shoulder strap. Metal zipper closure with NL monogrammed zipper pull. Vegan leather bottom. Structured silhouette. NL nameplate at front. Interior Features: Zip wall pocket with NL nameplate at back, double open wall pockets at front, vegan leather key chain strap and NL polka dot logo nylon lining. Color available Wow Its Lucy.